Japan’s Heath Ministry says the detection of E. Coli in beef liver may result in the banning of raw liver from the country’s dining menus. Live E. coli was detected in the livers of two of about 150 cattle it examined at meat inspection centers nationwide since summer. Restaurants had already been asked by the government to refrain from serving raw beef liver while the ministry conducted the examinations. The Centers for Disease Control and Prevention has determined that romaine lettuce from a single farm is likely to blame for an E. coli outbreak in Georgia, Missouri and eight other states. Sixty people became sick in the outbreak that began in October and ended in November. No one died, but at least 30 were hospitalized and two developed severe kidney disease. Thirty-seven of the illnesses were in Missouri. Illinois had the second-most reported illnesses with nine. Besides Georgia, other illnesses were reported in Arizona, Arkansas, Indiana, Kansas, Kentucky, Minnesota and Nebraska. 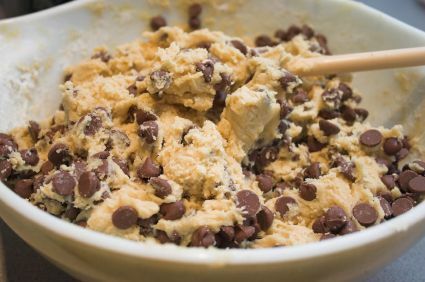 Neil and her colleagues concluded that raw, ready-to-bake cookie dough was what caused 77 people in 30 states to become ill, 35 of whom became so sick that they needed to be hospitalized. 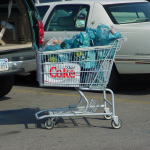 After learning about the outbreak, the researchers were able to track down the culprit by comparing the eating habits of 36 healthy volunteers to 36 people sickened by a deadly strain of E coli bacteria in 2009. Raw cookie dough consumption was the thing all 36 had in common. When the researchers visited manufacturing plants where the cookie batter was being made their suspicions were confirmed: they found E coli in the samples they collected at the plants, according to the report which was published in Clinical Infectious Diseases.